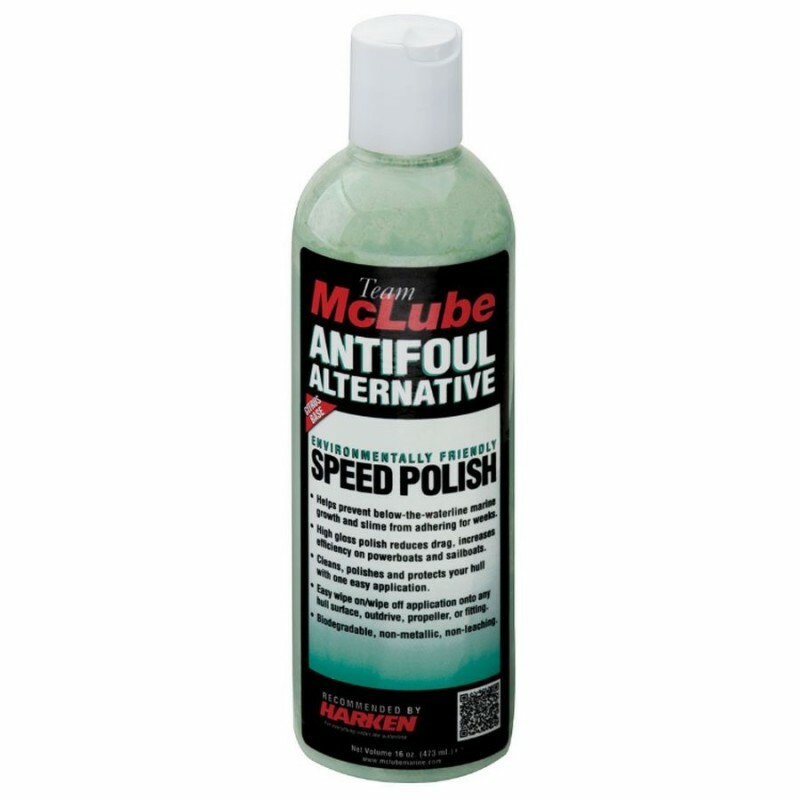 McLube's Antifoul Alternative is a high-gloss polish that inhibits marine growth below the waterline and keeps your hull fast and clean for weeks at a time. Citrus based and fully biodegradable, this breakthrough product is quick and easy to apply. It has been aggressively field tested on VO70s, one-design keelboats, RIBS and powerboats worldwide. Apply small amount to a damp washcloth or small sponge and wipe onto hull in a circular motion. Only apply onto a small area at a time 1 square meter and do not allow to dry on hull surface. Immediately polish away any excess with a dry towel, soft cloth or micro-fiber cloth - do not allow product to dry; polish away excess immediately upon application - within 90 seconds. No wait time, and no crusty haze to remove. Just wipe on and immediately wipe away excess. Move onto the next area of the hull. It's that easy.